Wow! What an exciting time we all had! Last Friday and Saturday (2/3 Feb) many of the Sharks and Dolphins (leaders, young leaders and Scout) met at Snowball Plantation for a night and day of absolute fun. We arrived and made a range of animal masks and wore them around the camp fire. It was a great atmosphere and we sang lots of songs and talked about fire safety. After exhausting our singing voices we moved back inside for hot chocolate, hot dogs and fish finger sandwiches. For some reason everyone was still wide awake so we watched some Minion shorts and laughed lots. Ban-an-a!!!!! Then, finally, bedtime! Some minutes later, morning arrived and we moved onto a day of activities. Many of these related to badges and learning. All of them related to fun. We started with an obstacle course which included javelin, log balance, log relay, football skills and Frisbee throwing. It burnt off a lot of our energy and allowed the Beavers to work as teams to earn points. Some Beavers are working towards their navigation badge so we split into our groups and, using a compass, worked on a series of questions relating to different points on the site; they had to find their way to these points using their compass and identify the object needed to answer their questions. They all did really well. All this exercise made us hungry so next on the agenda was learning how to safely light a fire and cooking our own lunch: Campfire Calzone and Wagon wheels. Yum! And then…home for a rest. We all had such a good time and, most importantly, we made lots of fun and lots of friends! 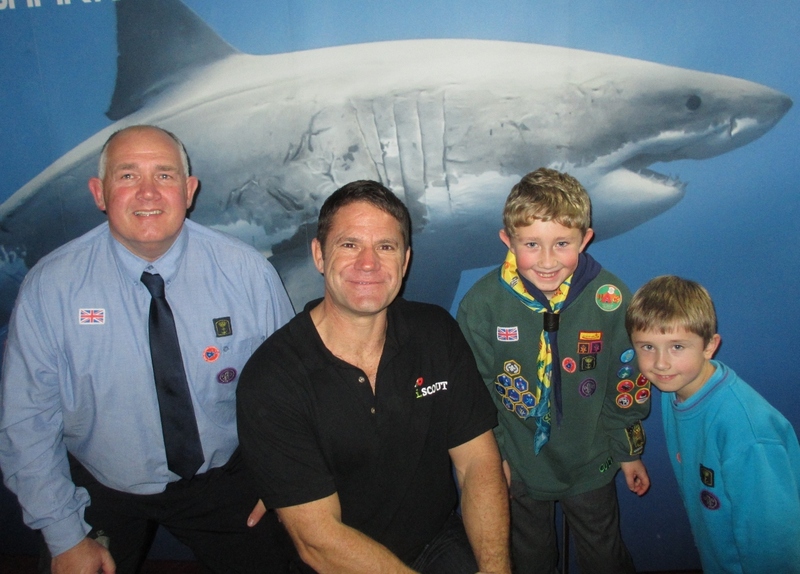 Steve Backshall, presenter of wildlife programmes such as Deadly 60 and Fierce, brought his Wild World tour to York this week and several very excited 1st Clifton Cubs and Beavers had the amazing experience of meeting Steve backstage during the show interval. 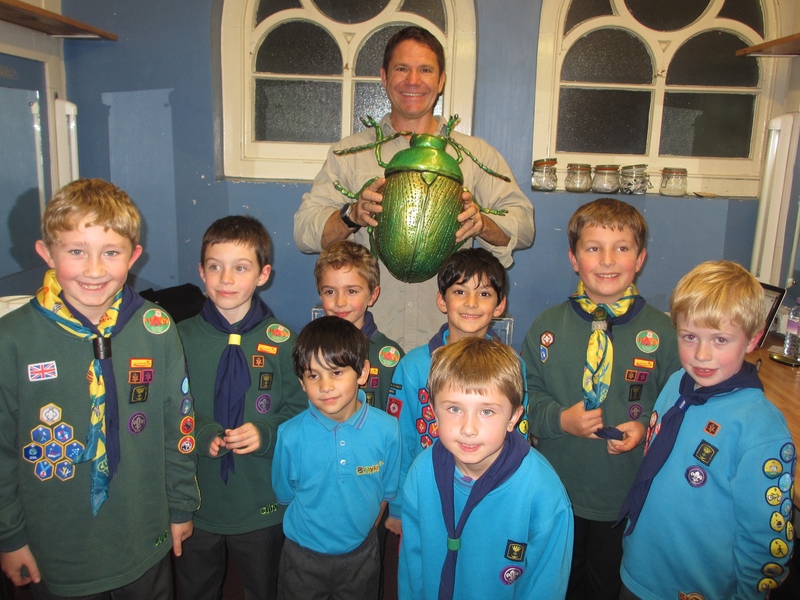 As Steve is a Cubs 100 Ambassador and Buglife’s Vice President, Barry had arranged for the children going to the show to meet with Steve backstage to talk to him about their conservation work with the Jewel of York, the Tansy beetle. Unfortunately Steve’s packed schedule meant there wasn’t enough time to chat but they did get their photo taken with Steve and a giant Tansy beetle (not a real one!). Special thanks to Barry for organising the backstage meeting and all his hard work getting the children involved with the Tansy project. As part of their learning about wildlife and conservation, our Beavers and Atlantic Cubs have been involved with the Tansy project throughout this year. 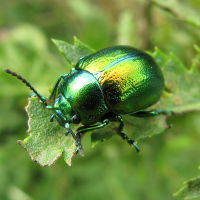 The project aims to protect the rare and endangered Tansy beetle, the ‘Jewel of York’ – these beautiful beetles can only now be found along the banks of a short stretch of the river Ouse and in one other part of the country so we are very lucky that they live right alongside us here on Rawcliffe Meadow. The children have learnt that endangered animals are not all big and their threatened habitats are not all a long way away. With the help of Julia, Buglife’s Tansy project officer, the project has taught them about this first hand and in their own local environment, opening up an exciting new area of exploration and discovery. Julia brought some Tansy beetles along to our scout hut for us to see up close. 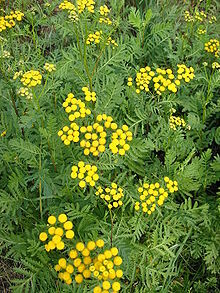 She also had some Tansy plant seeds that we were able to sow and watch the plants grow. When they were ready, our Dolphin Beavers helped Julia to plant out their plants on the meadow along with some more from Julia’s greenhouse. It has been fantastic to see how enthusiastic the children have been about being outside, learning about animals and about how plants grow. On a lovely summer’s evening, our Cubs went on an exciting adventure hiking around Rawcliffe Meadow in search of Tansy plants and beetles in the wild and were thrilled to spot them several times. We’ve been pleased to hear that some of them have even made trips back to the meadow since the group trip to share their knowledge and experience with their families. Having fun, enjoying being outside, learning new things and having adventures with friends are what the Cub and Beaver programmes are all about and the Tansy project has been a great opportunity for us to do all these things as well as getting involved in a project within our community. Any medication labelled and handed to Leader on arrival. Please arrive in full uniform. This is where you’ll find news from our beaver colonies.